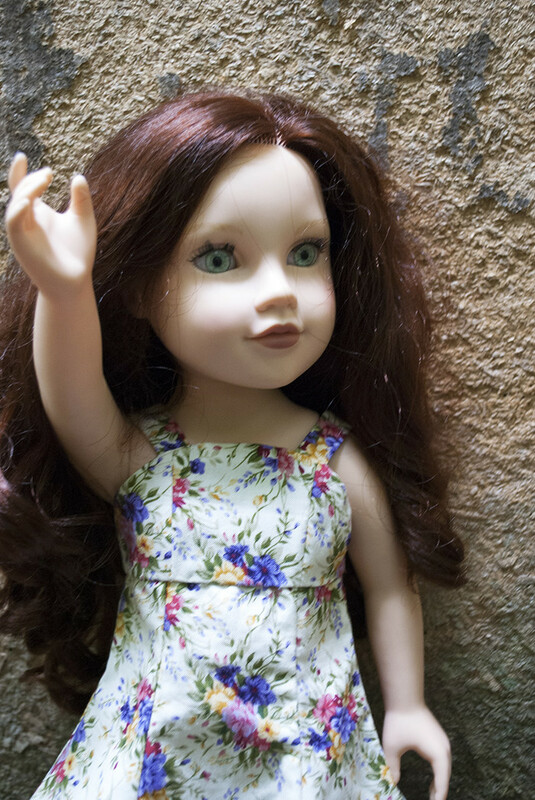 This is a sweet Summer dress for a slim 46cm (18in) doll such as Journey Girl. 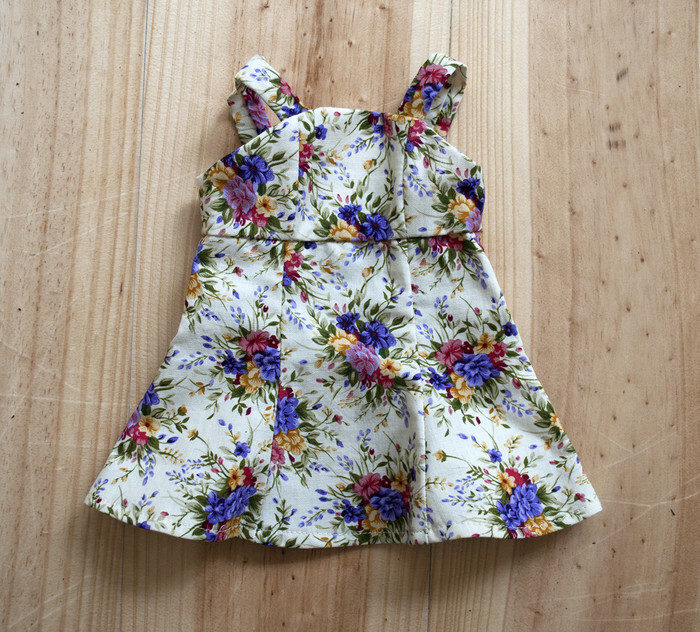 It has a pinafore bodice and gored, flared skirt in a cream fabric patterned with summer flowers. 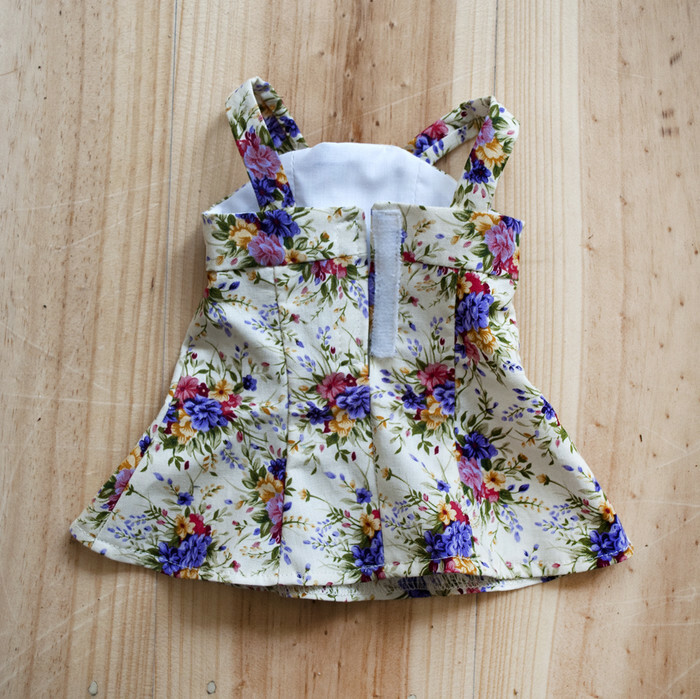 It is made from a polycotton fabric and the bodice is lined with with cotton. It closes at the back with fine hook and loop tape so it is easy to put on and take off.